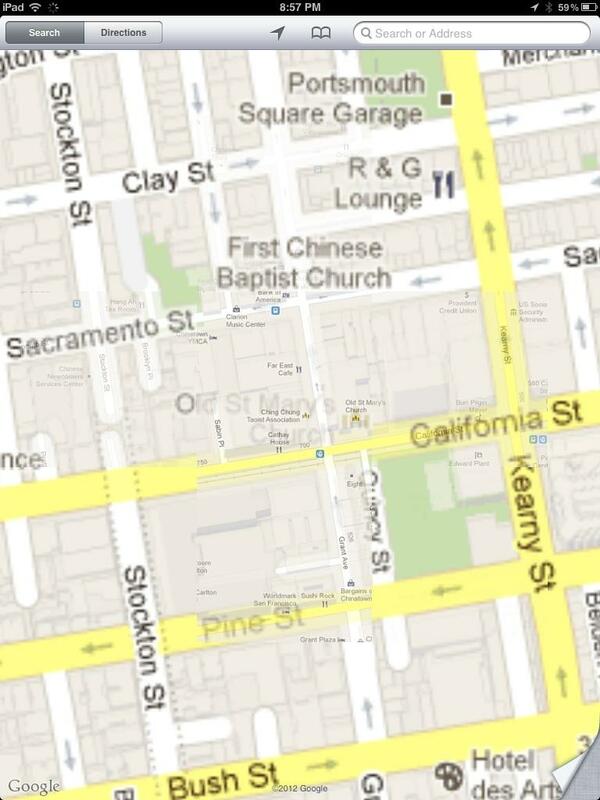 Apple isn't just declaring its independence from Google Maps with its new in-house backend for Maps in iOS 6. It has developed a superior way to deliver map data that relies on resolution independent vectors rather than Google's multiple zoom levels of bit mapped images. 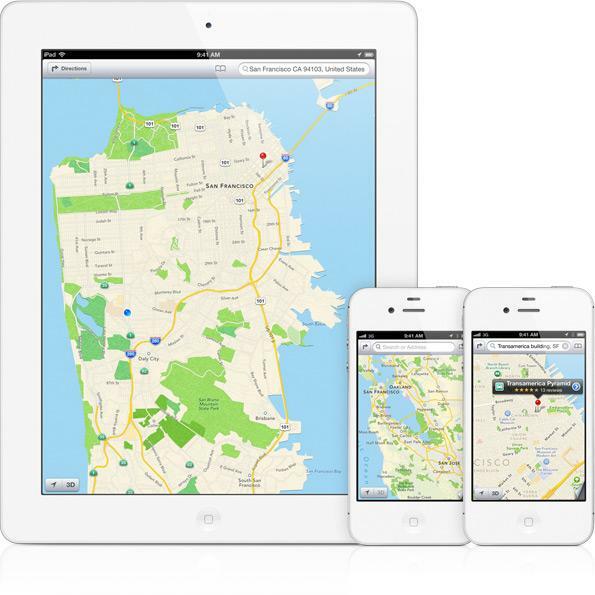 The previous segment, Apple wants to wipe Google off the map with iOS 6, described Apple's iOS 6 strategy of cutting ties with Google's map servers and instead powering its own iPhone and iPad Maps client apps (as well as all third party apps that use iOS' built-in mapping services) with mapping servers it manages and operates on its own. Apple's new mapping services powering the revamped Maps app iOS 6 are based on a series of partnerships, acquisitions and internal work that are intended to not just replace the existing maps data Google has been serving up for iOS users over the past half decade, but to also expand and improve upon the features available. The first primary technology advancement Apple will be introducing for iOS 6 Maps relates to the use of resolution independent vector images. This allows users to smoothly zoom in with a pinch of the fingers, while details and labels pop up as space allows. Google's existing map services are based on a series of fixed zoom levels, so when users zoom in, they see the existing map turn into a blurry image that is incrementally repainted with the next zoom level as it downloads (below, during a refresh). Each fixed zoom level of Google's map data is made up of bitmapped graphics. That results in labels (such as neighborhood or street names) being fixed in position and orientation, so when the map is rotated (such as by the compass), the labels may appear upside down. Zoomed in or out, labels may also be left illegible by rough-looking scaling or obscured by overlay information such as the direction path drawn on top of the map. Google does a pretty good job of quickly serving up replacement map tiles as users zoom in and out, but this process can be complicated by slow data networks that don't have the bandwidth to serve up tiles fast enough. Modern iOS devices do a pretty good job of caching a bit of Google's map data so you can load a map of the area you will be visiting and then navigate around using GPS even if you lack a mobile connection. However, while Google does support offline maps on its own Android platform, there's no way to load a specific set of maps at arbitrary zoom levels in iOS Maps, so you can only load up a relatively small area and hope the system doesn't automatically discard any of the maps you want to view offline. When using to vector maps, all coastlines, roads, labels and other data are represented as mathematical lines rather than as fixed graphic images. This enables Apple to allow users to freely rotate the map however they want; the text of map labels dynamically reorients itself to remain legible. When users zoom in or out, the text size of labels scales smoothly, because it is being rendered live as dynamic text, not as a graphic image that includes text and must be "repainted" for every zoom level.